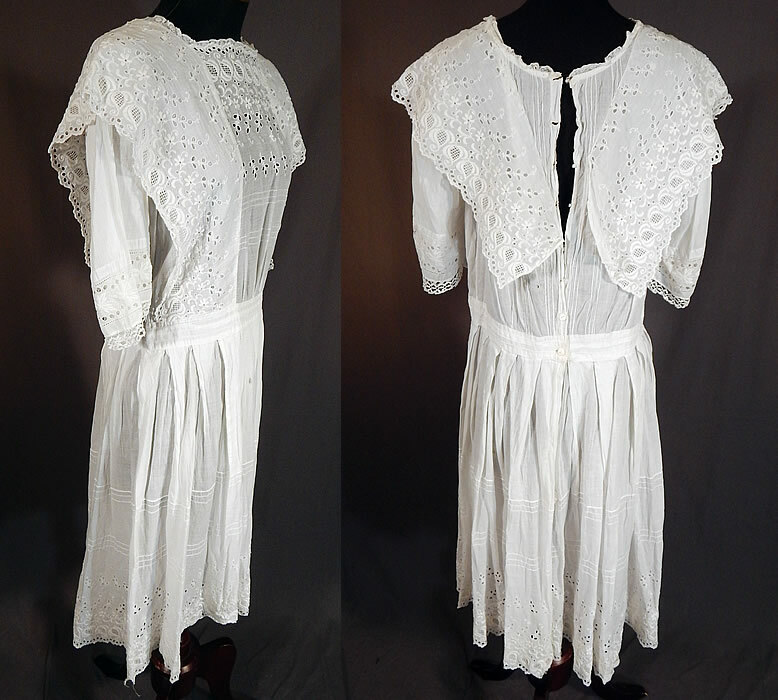 This vintage Edwardian era white cotton broderie anglaise eyelet embroidery girls dress dates from 1910. 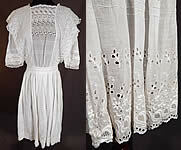 It is made of a sheer white cotton batiste fabric, with broderie anglaise eyelet embroidery cutwork, drawn thread whitework. 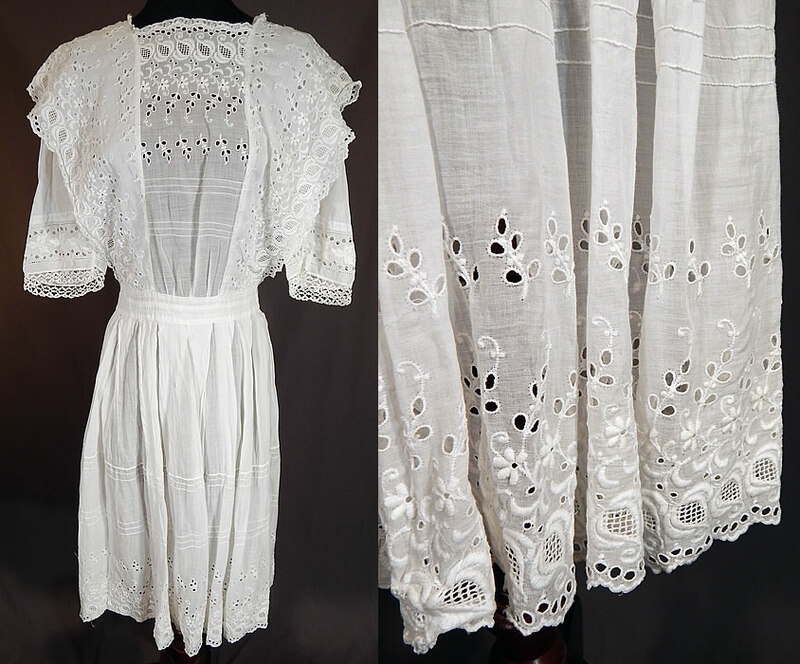 This lovely lace girls youth dress is a shorter mid length, with a ruffle flounce trim over the shoulders, a squared front neckline, 3/4 length sleeves, a fitted waistband, button closures down the back and is sheer, unlined. 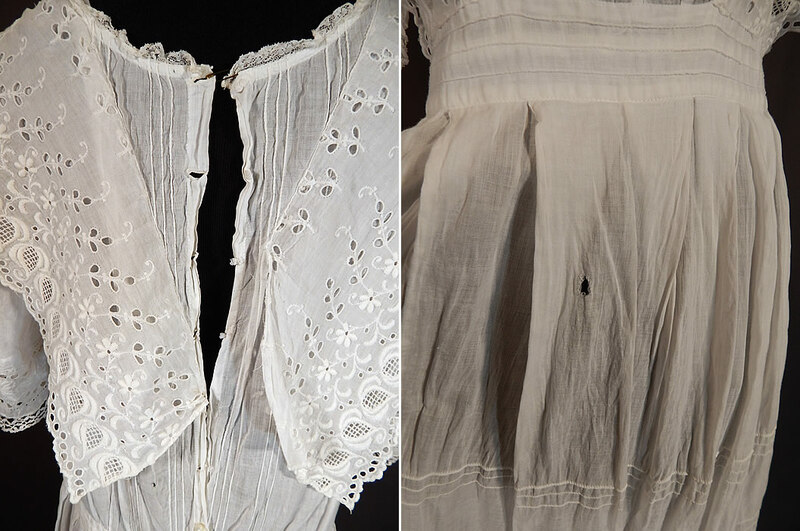 The dress measures 40 inches long, with a 30 inch chest, 28 inch waist, 13 inch long sleeves and a 12 inch back. It is in good as-is condition needing some restoration, missing most of the back button closures on the top and a small frayed hole on the front skirt and back top. 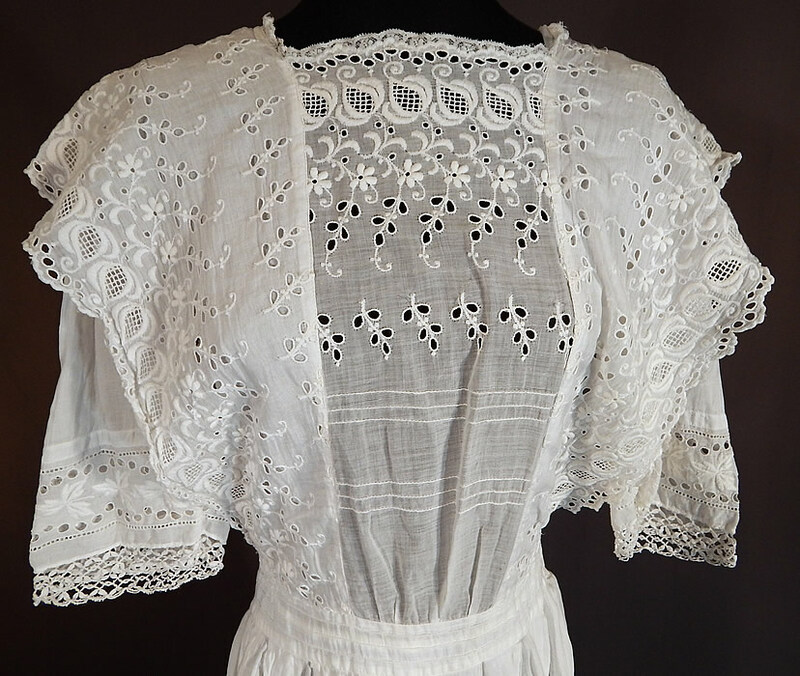 This is truly a wonderful piece of wearable antique lace art!